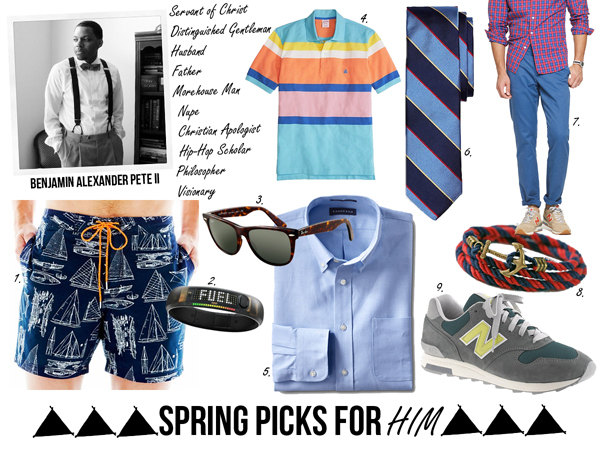 I thought it was only fair after posting my Spring Picks and Benjamin's Spring Wishlist that I share Spring Picks for Him [the guy in your life]. Who better to ask to contribute than my ever so fashionable husband, Ben? His picks range in price from $16.00 to $150.00. You can see more things Ben likes by following him on Pinterest.